My skills and areas of expertise include entrepreneurship, travel, honeymoons, cruises and family vacations. NAPW honors Paola Contecha, CEO / President at AllPlaces4U Travel Inc. As a 2014 Professional Woman of the Year, Ms. Contecha is recognized with this prestigious distinction for leadership in business. As the largest, most-recognized organization of women in the country, spanning virtually every industry and profession, the National Association of Professional Women is a powerfully vibrant networking community with over 600,000 members and nearly 300 Local Chapters. “My skills and areas of expertise include entrepreneurship, travel, honeymoons, cruises and family vacations,” says Ms. Contecha. As far back as she could remember, Ms. Contecha had always been fascinated with travel and helping people. While working towards a degree in hospitality management, she worked at the Crown Plaza Houston West, Houston’s Four Seasons and the exclusive Hotel Sorella. Presently, Ms. Contecha is the CEO and President for AllPlaces4U Travel Inc. She expertly handles all travel arrangements for honeymoons, cruises and family vacations. Ms. Contecha is graduating this year with a Bachelor degree in Hospitality Management from the Art Institute of Houston and plans to continue on in her role at AllPlaces4U Travel. She is currently involved with the Houston Chamber of Hispanics and the International Chamber of Commerce in Texas. 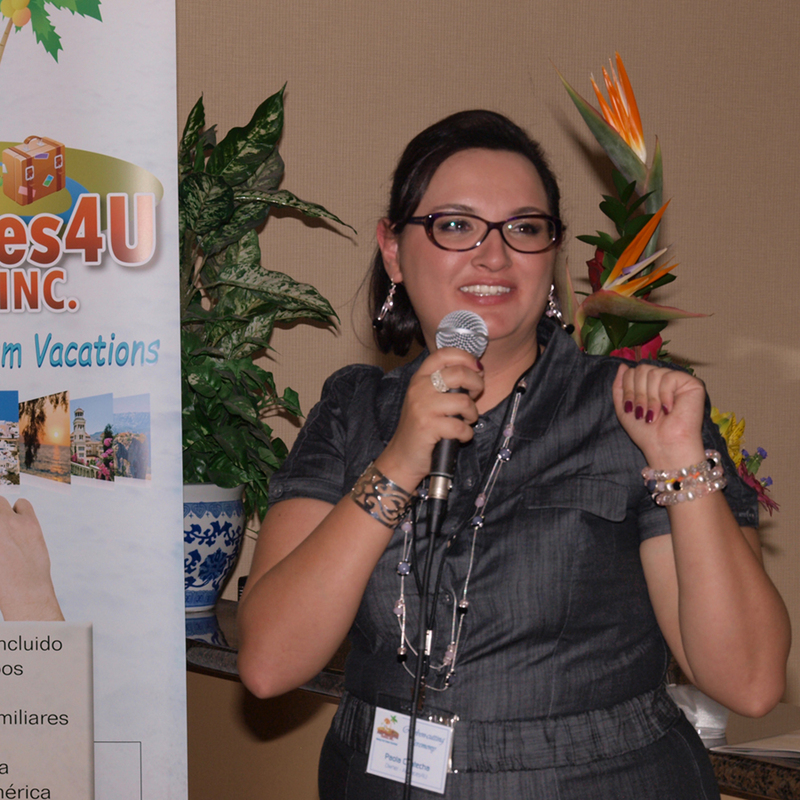 Paola ContechaCEO / President, AllPlaces4U Travel Inc.